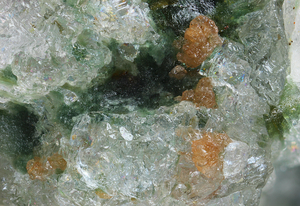 View of the Habachtal underground emerald mining, ca. 1965. 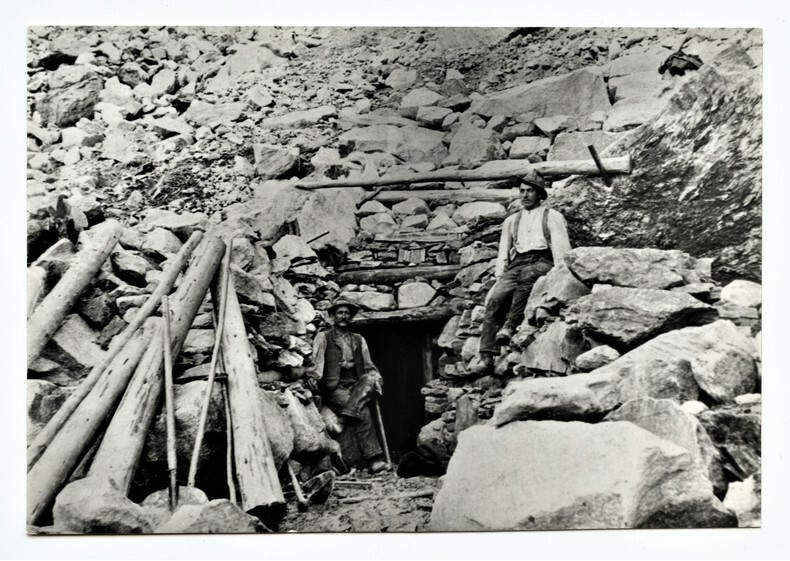 View of the C-gallery entrance of the Habachtal emerald mine, 1906. 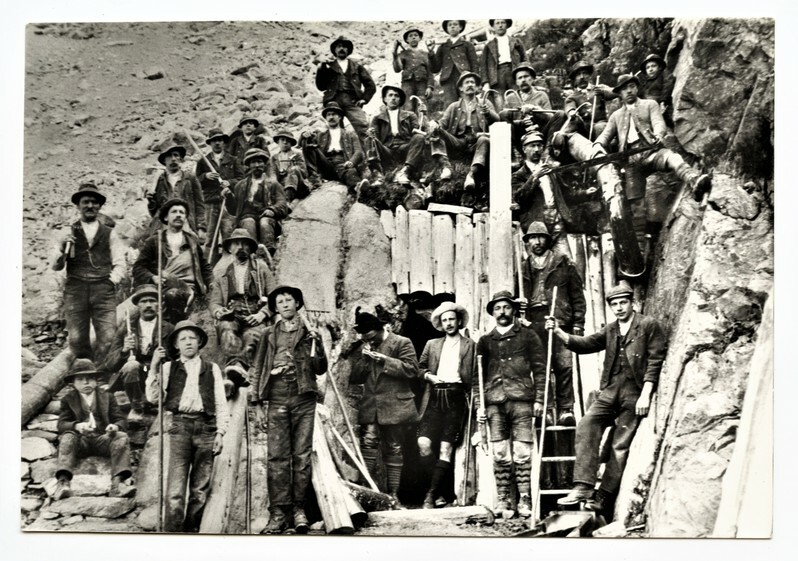 View of the D-gallery entrance of the Habachtal emerald mine, 1906. 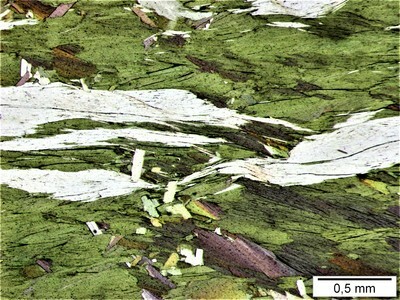 Layer of talc-actinolite schists with inclusions of blastomylonitic rocks (serpentinites and talc schists) and emerald-bearing biotite-chlorite schists, intercalated between scheelite-bearing banded gneisses (including Cu, Fe and Bi sulphides) and amphibolites of the Habach formation. 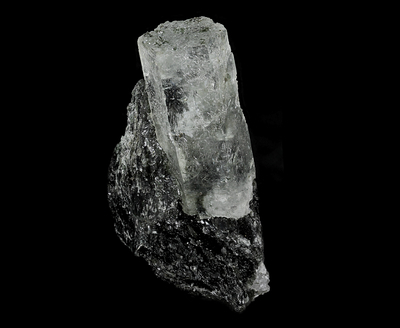 This association of rocks trends from the Hollersbach valley in the east to the Untersulzbach valley in the west, and meanwhile emeralds were also found in its outcrops in the neighbouring valleys. 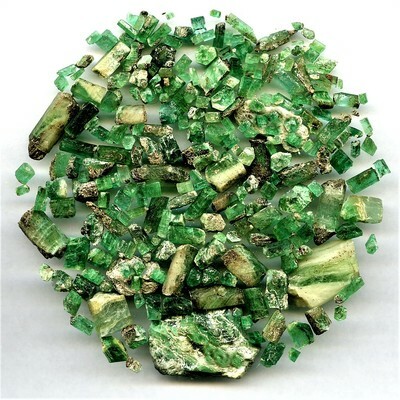 An emerald mine was first mentioned in 1797, but the deposit was probably worked much earlier. 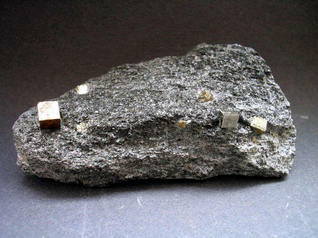 The present mine with its four adits (named A, B , C and D adit) was started in 1860, by the jeweller Samuel Goldschmiedt of Vienna. 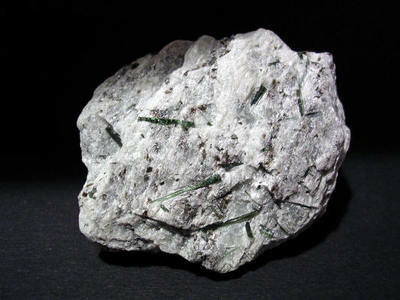 In 1896 the lease was taken over by the "Emerald Mines Ltd." of London., who worked the deposit until 1913. 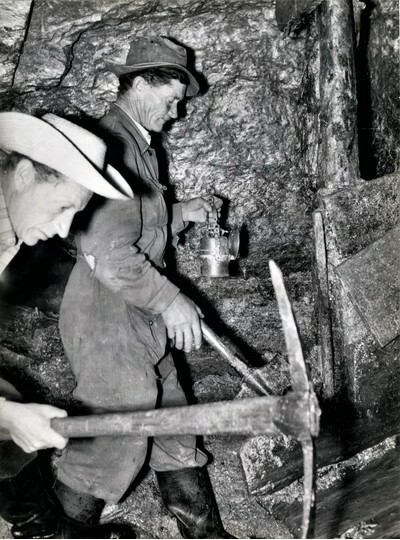 During the following years, the mine was intermittently worked by different owners until 1949, when it was abandoned. Since 1964, it is privately owned, but worked only sporadically. 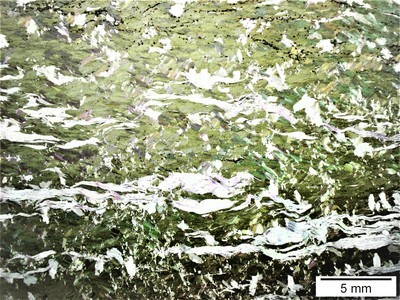 Presently (2008), it is owned by the strahler Andreas Steiner of Bramberg. 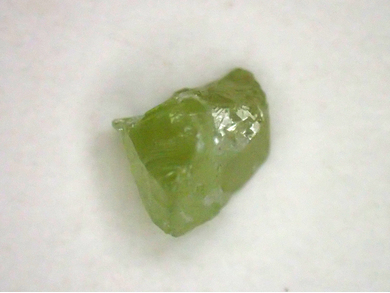 In general, the emeralds are of rather low quality; specimens suited for cutting are rarely found. 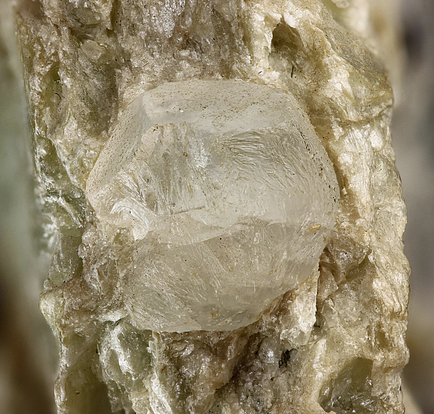 They usually contain inclusions of a wide variety of minerals. 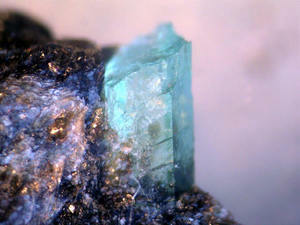 In fact, many of the minerals listed here were only found as inclusions in emeralds. 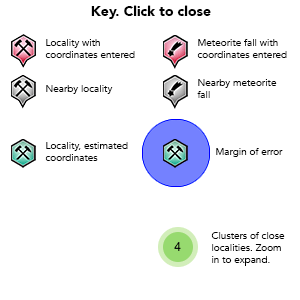 Description: Best European Emerald locality. 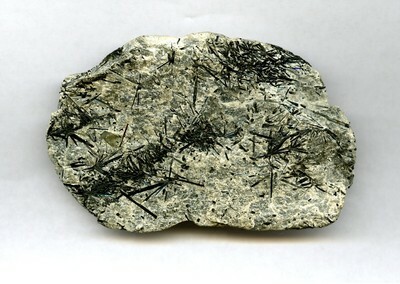 - Grundmann, G.(1981): Die Einschlüsse der Berylle und Phenakite des Smaragdvorkommens im Habachtal (Land Salzburg, Österreich). Der Karinthin, 84, p.227-237. - Exel, R. (1993): Die Mineralien und Erzlagerstätten Österreichs. 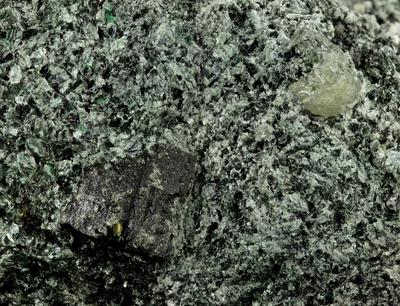 - Groat, L.A., Giuliani, G., Marshall, D.D., and Turner, D. (2008): Emerald deposits and occurrences: A review. 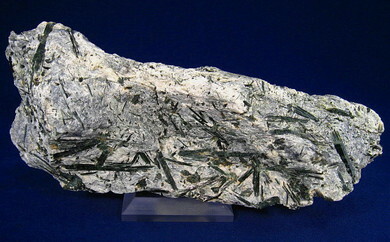 Ore Geology Reviews 34, 87-112. - Burgsteiner, E. (2002): Das Smaradbergwerk im Habachtal. 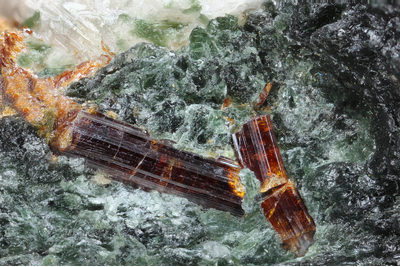 Kristallschätze, Mineraliensammler im Oberpinzgau. Bode Verlag, Haltern, 88-103. - Grundmann, G. (2007): Das Habachtal erneut im Rampenlicht. Pinzgau, ExtraLapis 32. Christian Weisse Verlag, 70-75. 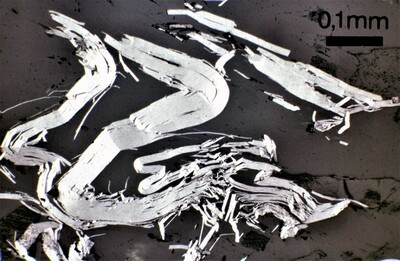 - Kandutsch, G., Wachtler, M. (2000): Smaragde - Triumph und Tragik. Die Kristallsuchr Band 2. Bode Verlag, Haltern, 91-97.